Neena Gupta, an Indian math prodigy has proved that sky is the limit for some. After Shakuntala Devi, she has filled the void that was left opened and has made an outstanding achievement in the field of mathematics. She has solved a math problem that baffled the mathematicians around the world for 70 years. 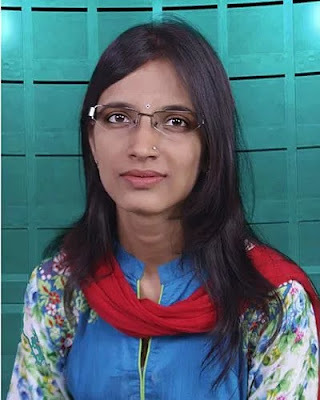 She has bagged the Indian National Science Academy award (INSA) for her solution being one of the best so far. She is also the recipient of the Ramanujan Prize (2014), and the Saraswathi Cowsik Medal (2013) by Tata Institute of Fundamental Research (TIFR) Alumni Association. Unlike other young achievers, who prefer to explore opportunities abroad she is working as a full-time faculty at INSA, while visiting faculty at Tata Institute of Fundamental Research in Mumbai and a visiting scientist at Indian Statistical Institute, Kolkata. For her achievements, she credits her dad, who let her get a Ph.D. without caring about the society and her husband who supported her and helped her just like her father did. Neena Gupta is a living example for those who are against educating girls. We need to understand that by educating a girl we can eliminate the root cause for many problems, such as poverty, population.